The USACE has had more than 2,000 agency and contractor personnel on the ground in Puerto Rico's power restoration effort. 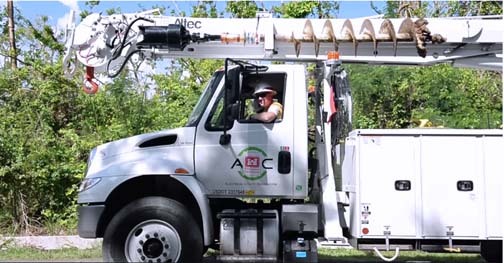 More than 2,000 USACE and contractor personnel are on the ground in the power restoration effort. More than $870 million in federal funds has been provided to Puerto Rico survivors of Hurricanes Irma and María, the Federal Emergency Management Agency said. This includes money paid out in FEMA grants, U.S. Small Business Administration low-interest loans and National Flood Insurance Policy claims. “These funds help make it possible to begin rebuilding homes and restoring communities,” the agency said. More than 30 Disaster Recovery Centers around the island have helped more than 162,000 visitors. Hey Buddy!, I found this information for you: "FEMA: More than 0M provided to PR hurricane survivors". Here is the website link: https://newsismybusiness.com/provided-hurricane-survivors/. Thank you.